The Evidence Collection Technician program is designed to verify an applicant's fundamental knowledge as measured against core job performance requirements of established professional qualifications, standards and standard industry practices related to evidence collection on fire scenes. 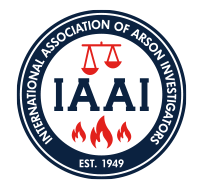 This measurement is not all inclusive of the incorporated professional standards sited, but lays the foundation for measuring the holder's fundamental ability to perform specific evidence collection tasks related to fire scene investigation at an acceptable level as measured against published acceptable practices. Applicants must pass all critical elements and achieve a minimum score of 70% on each of the 10 components of the practical testing to be determined to have successfully challenged the exam. Payment must be received by May 8, 2019. All IAAI offerings are subject to cancellation or change.